Why do more than 95 percent of all startups in North America die? 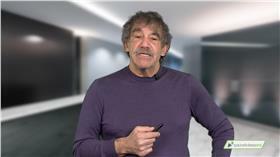 Serial entrepreneur Bob Dorf will give you all the tools you need to avoid the startup curse. This high-energy, no-nonsense course will keep your entrepreneurial feet firmly rooted in reality. Fix Your Startup Before You Spend Your Way Out of Existence. Stop writing fairy tales disguised as business plans! If you want your startup to avoid the curse that dooms 95 percent of all North American startups to failure, take serial entrepreneur Bob Dorf’s course and start by developing your customers. Your first class will teach you why so many startups die before achieving any measure of success. Dorf makes it his mission to undo the business school brainwashing that leads so many would-be entrepreneurs to fixate on a business plan. Dorf explains why plans are complete works of fiction and should be replaced by the nine-component Business Model Canvas. The second class will take you through the fundamental steps of the initial customer discovery process. Time and again, you’ll be reminded to stop selling and start listening. You might be fond of your product or idea, but Dorf will teach you that your opinion is worthless compared to the input of your potential customers. You’ll learn the three phases of initial customer discovery and the questions you need to answer before you should ever consider shipping a product. This class also contains a valuable lesson in the creation of your MVP – Minimum Viable Product. As you gather facts, you’ll learn the power of the Pivot stage and why it is the most important aspect of customer development. Dorf will help you leave the conference room and slide presentations behind and get out of your office to chip away until you find your ultimate goal product/market fit. The power and energy that surrounds the startup process is so captivating that many large, established companies are attempting to incorporate it. Dorf’s third class will teach you how to get past the issues that plague big companies and follow a unique set of rules for internal startup success. Why do the overwhelming majority of startups die? How to create your nine-component Business Model Canvas. Why business models beat business plans every time. The three key initial customer discovery phases. Eight very different rules to create a startup within an existing company. Section 1 Why Do Startups Die? Download Which Leader Are You?